hoof trimmer/ body worker, to better serve the horse. Many schools cover environment, nutrition and of course hooves but the true balance can only be achieved through balanced dentistry, body and hooves. 1. The TMJ joint allows the mouth to open and close. 2. The full Musculoskeletal System, including all muscles and bones. 3. The horse's foundation or hooves. 1. Obtaining balance through weight distribution. 3. What goes up must come down and other effects with gravity. Every muscle has a job. If one muscle or group of muscles is always contracted the opposing muscles are also affected, changing balance, function and gravity. If all three of these components are not in harmony then you can never truly attain balance. It's all about Posture not Conformation! Conformation is about structure—the shape or size of something. Posture on the other hand is dictated solely by muscular balance . When people talk of conformational faults in a horse, all too often they are really referring to the horse's posture. Faults, such as standing under, camped out, cow hocked, base narrow, etc., are all created by muscular tension and NOT bone structure. With this in mind, it is easy to understand that imbalances in alignment contribute heavily to the growth patterns of the hoof. Hoof growth is created by blood flow and blood flow to the hoof is dictated by pressure. Muscular tension creates imbalance of the body; therefore the blood flow as to where in the hoof the blood flow is concentrated. Our goal is to teach you how to look, see and understand the posture of the horse, how it relates to the feet, to better understand the growth patterns and imbalances. What is Natural Balance Hoof Care? The short version isn't much different from the long version. Natural balance hoof care is based on trimming to the internal structures of the hoof, mainly the coffin bone. The coffin bone predetermines the size and shape of the hoof. The coffin bone also tells us the angle of the hoof. If you look at a coffin bone not only can you tell if it's a front or a hind by its angle, but also if it's a left or right hoof by its shape; flair side to the lateral side (outside), straighter side to the medial side (inside). All we have to do is follow the shape of the white line and we will have the proper shape of the hoof. Don't overuse your knife, I can't stress that enough. When trimming the bars, I like to use the width of my rasp to tell me where the height of the bars should be. Basically, all we are doing with our tools is mimicking natural wear that the domesticated horse is incapable of doing on its own. To sum it up: you need to know what a good foot looks like and then stay out of its way. Dino and Anthony met in 2011 and became friends immediately. They both are passionate about their work and when working on particular horses they would find themselves saying 'I wish I had Anthony/Dino in my back pocket right now'. They saw each other's strengths and began working together intermittently (based on their coastal distance) as often as they could. After seven years of working together they decided to pool their skills and open a school to produce the first hybrid hoof trimmer/body worker course to provide the equine community with the ultimate in balanced equine care. Anthony has been trimming since 2001 and is just as excited going to work every morning as if it was his first day. He believes you must have passion for what you do in order to be your best. After completing his initial education he did not stop there. He believes there is always something new to learn and as the years pass has became a better trimmer because of it. He loves to share all that he has learned with as many horse owners who are ready to listen. Anthony can also be found giving presentations to many diverse groups and organizations. His popular presentation is entitled Proper vs. Improper Hoof Care. It's like a timeless Tuxedo: it never goes out of style. As a barefoot trimmer Anthony thought his tools and the proper application of them were all that he needed to restore balance to a horse's hooves. Yet there has always been a handful of horses that he just couldn’t seem to fix. That is, until he met Dino who showed him the missing piece to the puzzle. The positive changes to horse's posture and therefore its balance can be seen in one good session with Dino. Anthony knew partnering up with him to create a hybrid skilled worker was a no brainer. Dino is a professional Equine Bodywork Specialist. He began working with horses in 1996. Throughout the years his work has taken him across the country to various venues to educate, instruct and provide private clinics for horse owners. During this time he has met and been inspired by some amazing and knowledgeable practitioners. Dino's vision has always been and always will be the pursuit of balance for horses. His goal is to leave the biggest footprint on this earth in regard to the concept of a truly balanced horse. 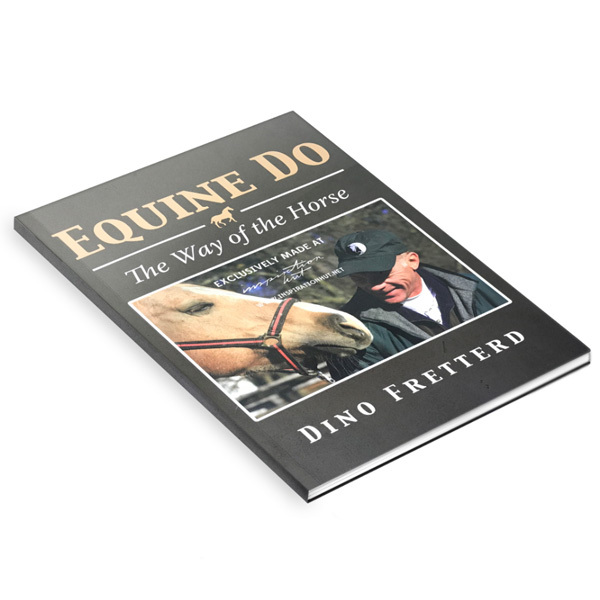 To achieve a truly balanced horse, Dino has joined forces with one of the most knowledgeable and dedicated Hoof Care Providers he has had the honor to meet. Although Dino's passion is to work hands on in his practice with these amazing animals, he also lives to educate about the whole horse concept, including Hoof, Body, Dental balance and health. He feels his goal is to share the knowledge that horses have shared with him, alongside his partner Anthony, with individuals who truly desire to make a difference in the world of horses and help create a True Hybrid Hoof and Bodywork Professional. There are no levels. Only the ability to do the work. This course is truly all encompassing and there is no other like it offered anywhere. The education you will receive is ground breaking and cutting edge. You will learn how to put the pieces of the horse's puzzle together and wonder why it took so long since it is only three pieces. You will be given the tools to truly see the horse, not just look at the horse. You will have all the necessary skills to completely restore whole horse balance. Classes will cover the hoof inside and out, including the diseases and ailments of the hoof. We will discuss the difference between conformation and posture and how poor posture leads to imbalances in the hoof. By the end of the week you will be working on live horses and producing results you will not believe possible. An intensive full week of working on horses. To attend a Week 2 session students must come prepared having completed 2 case studies on their own based on the skills obtained in a Week 1 session. Prerequisite: 4 complete case studies. Friday each student will take their practical exam. Certificates will be awarded to those who have achieved the ability to restore true balance to the horse. Class size is limited to only 4 students to ensure you receive a individualized education. Week 2 sessions can only be attended if you have applied skills learned in Week 1, on your own and created 2 case studies on horses of your choice. These case studies will be addressed and reviewed at the beginning of a Week 2 Session. Contact us if you have any questions or concerns. We are committed to your success. Please note that registration is not complete until your full tuition fees have been received. The course cost is $2,000 for a week session. To securely pay now online and to reserve your spot, click the button below. Courses are filled on a first come first served basis to those who have paid their tuition and fees. Course deposits and tuition fees are non-refundable. However, deposits and tuition fees are transferable to future course dates providing there is space available. In the event of a cancelled course, you will be refunded in full. Shop some of our favorite products. The definite purpose of this book is to share information and knowledge (based on facts and not opinion) with all those who love horses and want to understand not only how to see postural faults that compromise comfort and performance, but also have a desire to make the necessary changes to better them. I will reference some of the common problems you may be experiencing with your horses therefore allowing you to have a better understanding of where the issues may be coming from. A better understanding is a more educated horse owner, and a more educated horse owner saves money. 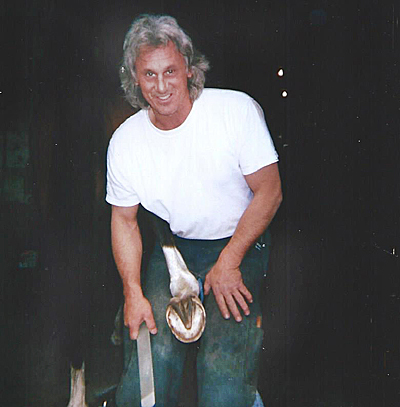 The Octassager was created by Equine Bodywork Specialist, Dino Fretterd. The Octassager has eight individual heads that provide that “Oh, that feels good feeling” sensation for people and horses (dogs too!). It’s unique design enables you to give or receive a relaxing massage without fatique or stress on your hand or wrist. It is a wonderful massage tool for people, horses and pets! Colors available in blue, green, purple, black. Created by Equine Bodywork Specialist, Dino Fretterd, it’s the best equine scratching tool. Be a horse’s BEST buddy and mimic what horses love best, being groomed by another horse, by using the Maxi Scratcher in your own hand! Based on equine behavior, the Maxi Scratcher is anatomically designed from the horse’s maxilla bone from where the incisors grow and is designed for maximum effect with minimal effort. It is made of durable plastic and bonded with rubber to ensure a comfortable grip. Nature's answer to White Line Disease and Thrush. Made with bentonite clay mud, apple cider vinegar, and powerful botanicals and antibacterial essential oils. Help heal your horse naturally, without any stinging, no harsh chemicals, and safe for your skin too. Works to toughen soft, tender soles and frogs, and helps keep them strong during wet conditions. Drop us a line and we would be happy to answer any questions you have.